I remember my very first credit card. I thought I was ready to enter into the realm of adulting and that card made me feel like I was on top of the world. I loved my credit card and my credit loved me.... or so I thought. Unfortunately, our relationship was destined to fail. My plastic money allowed me to get things that I couldn’t afford and charge it to my future self. If I had known what I know now, I wouldn’t have agreed to my first credit card. I would have taken the time to learn more about credit and use it wisely. I can’t take back what I did with credit, but I can use that failure as a reminder of what not to do with credit cards. Luckily I learned from my mistakes and am not scared of credit cards at all. In fact, I use it in a wiser fashion. I know what I’m doing now and haven’t paid a dime in interest since paying off the credit card debt. Many women have found themselves, willingly or of necessity, caught in a vortex of debt because of credit cards. 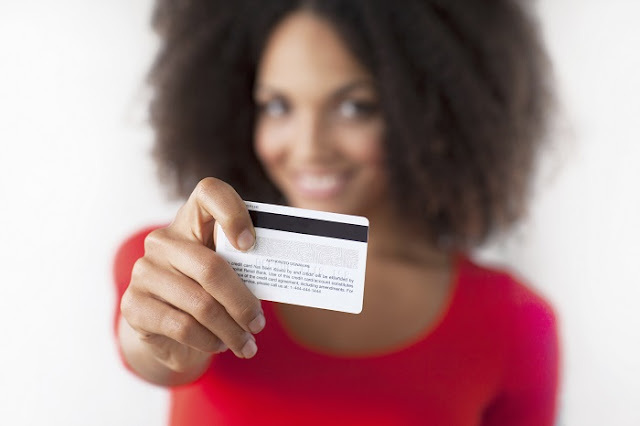 It’s easier to spend more than you intend when you use your credit card, you just swipe. Sadly, these kinds of mistakes can haunt women for years to come. When it comes down to it, credit cards are a tool. As long as you're using them the right way for your situation and not allowing yourself to carry a balance month to month, using a credit card can be of great benefit to you. They can get you out of a tight situation, help you purchase online and can help you build a solid credit history. But here’s the thing; you must pay them off right away. Otherwise, you might find yourself paying more interest than the original purchase. Debt has a tendency to breed debt. The moment you start carrying a balance not only do you cancel out the benefit of the rewards, you run the risk of being short each month because of credit card payments, and the possibility of turning back to the credit card to help make ends meet “just for now” becomes very tempting. Reality is that emotional reactions supersedes logical behaviour. Materialism is the core of the debt culture, and it motivates many women's lifestyle choices. Many of us are choking because of debt. To avoid credit card debt, we are all better off to leave the credit card at home. Avoiding the temptation is much better than fighting against it. Store cards charge the highest rates by far for any credit, they the worst way to build up any debt, so get rid of them now, cut them up and start to pay them off. It’s worth remembering that some bank accounts offer cash back in certain stores, so you can earn yourself money by shopping. When you are able to separate your wants and your needs and have a plan to satisfy both, it’s much easier to eliminate impulse spending and avoid debt. Educate yourself on the subjects of credit and debt management. Understand the processes and responsibilities. Read the fine print. Develop a financial plan or budget. If deficits appear, take immediate steps (if possible) to increase income or reduce expenses. If need be, consult a credit counselling agency. Analyze how decisions made today will impact your life in the long run. Learn to say “no”—to the lures of tantalizing advertising and to yourself. Then stick to that resolve. If at all possible, pay off your credit cards in full every month. By doing so, for many cards, you can avoid finance charges. Make saving a habit, even if it’s only R50 a paycheck. Life is full of the unexpected, and having a reserve helps to take the pressure off. When using a credit card, it’s all about priorities. Do you really need those new shoes and are they worth getting you into debt over?